A career in air traffic services puts you on the front line keeping aircraft moving safely and efficiently. These are challenging and rewarding jobs, where no two days are the same. 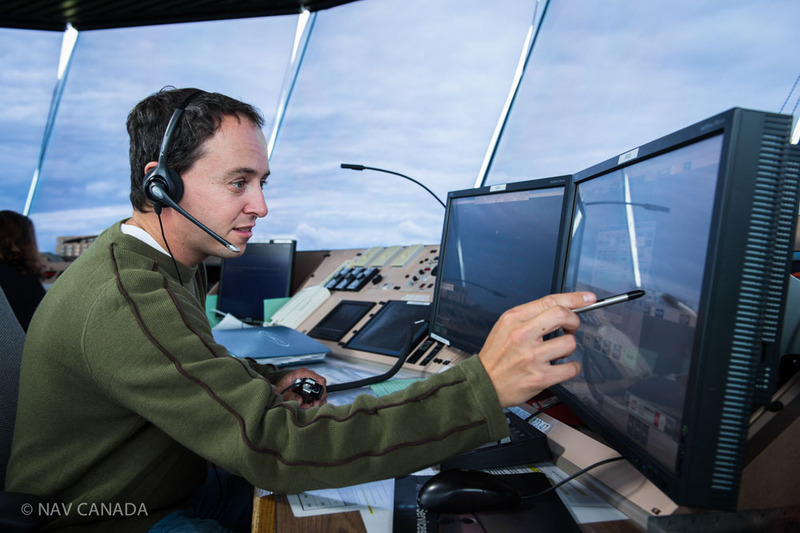 There are two main professions in the field of air traffic services – air traffic controller and flight service specialist – each with their own specializations and a key role in one of the world’s safest air navigation services. Tower air traffic controllers work at one of 41 airports across the country. These controllers have a direct view of the airport and aircraft and use radio communication to issue instructions and clearances. The instructions and clearances they provide help maintain a safe and orderly flow both in the air within a defined airspace which is referred to as the “control zone”, as well on the ground on runways and taxiways. Each tower operation varies according to volume and complexity of the traffic, geography, local weather and procedures. Tasks will range from handling large commercial aircraft to small recreational aircraft on training circuits and anything in between. Training to become a tower controller starts at the regional training unit located at one of seven area control centres. The first stage of training consists of classroom and simulator training. You’ll start by learning the manual of operations and phraseology, moving to simulation training in a fictitious airport setting (known as March airport). Depending on the location that you will be posted, you may complete some of your training in a high-fidelity simulator that closely represents a specific, real airport environment. This is followed by on-the-job training, where you’ll be paired with an experienced tower controller who will serve as your on-the-job instructor. Using surveillance displays, flight data processors and communications systems, area air traffic controllers coordinate the safe, efficient and orderly flow of air traffic in enroute or terminal (approaching an airport) sectors. 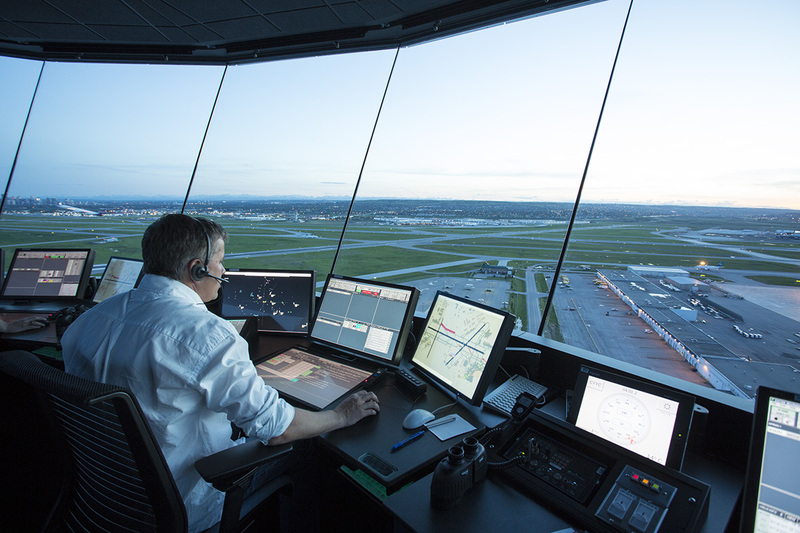 Unlike their colleagues at control towers, they safely direct pilots that can be flying on airways thousands of kilometres away. 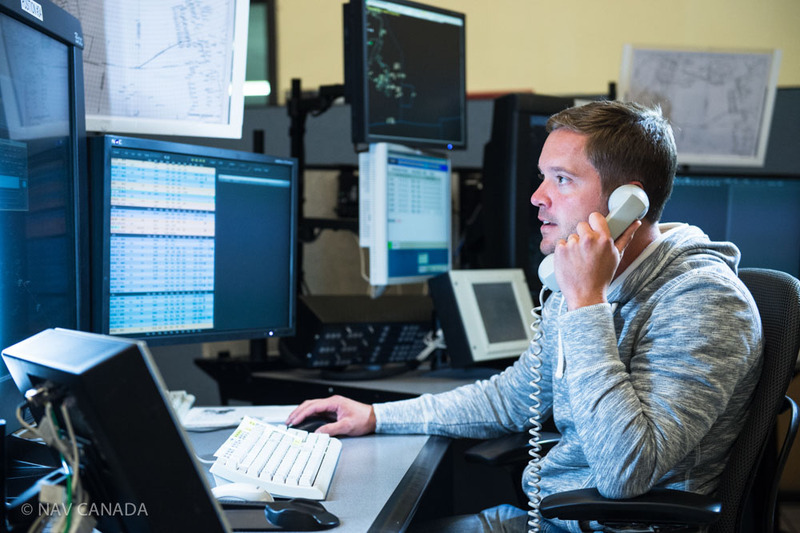 These men and women do their jobs from one of seven area control centres (ACCs) located in Vancouver, Edmonton, Winnipeg, Toronto, Montreal, Moncton and Gander. Each ACC is responsible for air traffic in a large section of Canadian airspace known as a Flight Information Region. Flight Information Regions are further broken down into smaller “sectors” and handled by controllers who know that airspace. Training to become an area controller happens at the training unit located in one of seven area control centres. The first stage of training consists of classroom and simulator training. You’ll start by learning the manual of operations and specific phraseology used when speaking to pilots, gradually moving to specialty training to prepare you to handle a specific sector. This is followed by on-the-job training, where you’ll be paired with an experienced controller who will serve as your on-the-job instructor. 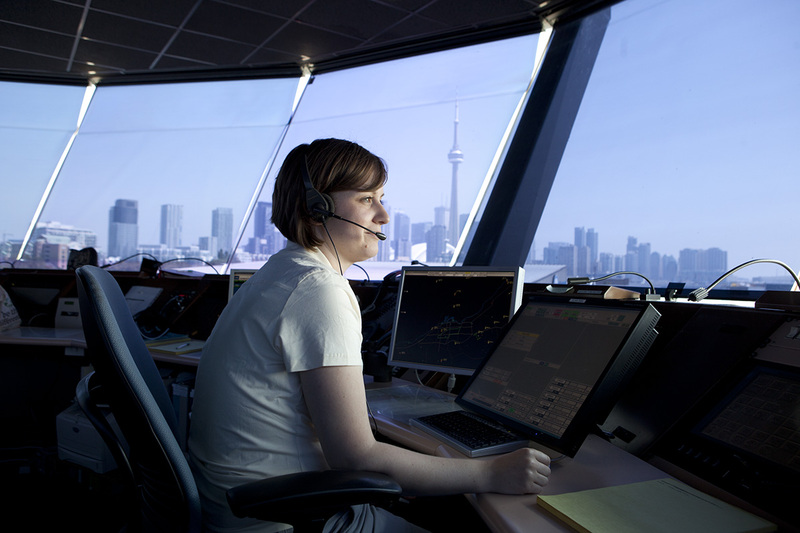 Flight service specialists play a safety-critical role in the Canadian air navigation system. At more than 50 airports across the country, specialists at Flight Service Stations provide timely, essential information to arriving and departing aircraft at their respective locations. That includes helping pilots with runway selection for landing and taking off, including the provision of wind and altimeter information, and “passing traffic“ (advising pilots about other aircraft operating near the airport to keep them out of harm`s way). They also control the movement of vehicles on runways and taxiways, and provide a wide range of additional information from runway condition reports to meteorological conditions. Some Flight Service Stations also deliver remote airport advisory services to neighbouring facilities. Working at a Flight Service Station means that you will be working with some of the most modern air traffic technologies in the world. Many Flight Service Stations are equipped with radar feeds to assist in the monitoring or aircraft movements and all Flight Service Stations are paperless operations, employing touch screen technology to communicate seamlessly with other NAV CANADA units. Training to become a flight service specialist starts at the regional training unit located at one of seven area control centres. The first stage of training consists of classroom and simulator training. This is followed by on-the-job training, where you’ll be paired with an experienced flight service specialist who will serve as your on-the-job instructor until you are ready to do the work on your own. At the country’s eight Flight Information Centres (FIC), Specialists provide flight planning services, deliver in-depth interpretive weather information and en route advisories to aircraft operating in Canadian airspace. They also notify emergency services when an aircraft is missing or overdue and help coordinate search efforts. Pilots often call on flight service specialists before they take off, to benefit from the specialist’s in-depth knowledge of weather patterns and special advisories along the planned route that can positively impact safety and efficiency. They work out of one of eight Flight Information Centres located in Kamloops, Whitehorse, Edmonton, Winnipeg, London, North Bay, Quebec City and Halifax. 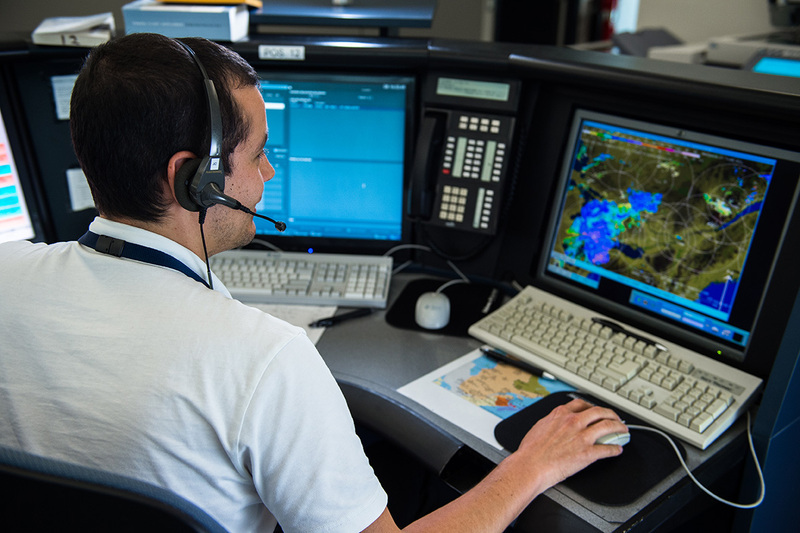 Training to become a flight service specialist at a FIC also starts at the regional training unit located at one of seven area control centres. You’ll complete the same classroom course as your airport FSS counterpart, prior to moving into a specialized pilot briefing course. This is followed by on-the-job training, where you’ll be paired with an experienced flight service specialist who will serve as your on-the-job instructor until you are ready to do the work on your own. Note that most of these positions are filled by experience Flight Service Specialists.